Video still from my Ground Series in Europe. 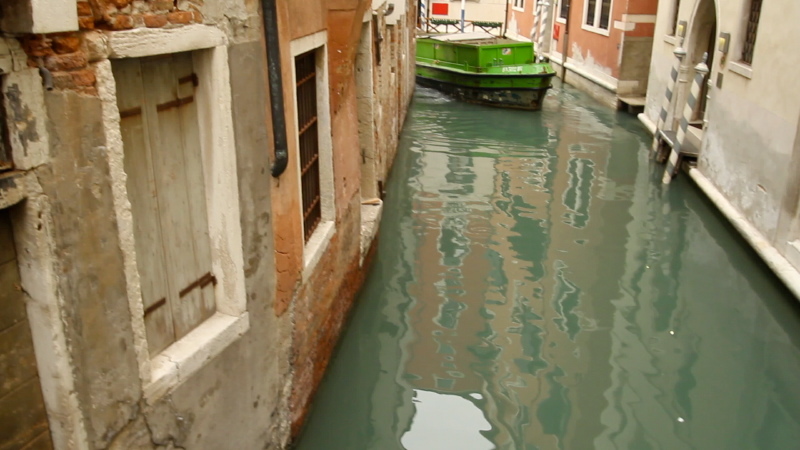 My aim was to show another perspective of Venice. How they deliver cargo to the city in the narrow canals and the way the reflections of the palaces and boats are distorted by waves and ripples. The camera was hand-held on the railing of the bridge, Ponte De Le Pignate.